The year was 1984. Acappella was touring heavily throughout the south-central United States, AVB was in it’s infancy and Acappella was something new and unique. It consisted of two men: Keith Lancaster and Rodney Britt. In a brief but prolific four-year period, from 1984-88, the duo of Lancaster and Britt together established what many fans still consider the classic Acappella sound. In the summer of 1988, when Keith retired from the road, Rodney went on to sing for a time with three new singers, George Pendergrass, Gary Moyers and Wayburn Dean, who themselves would usher in and launch the next decade of the Acappella sound. And everyone – us included – believed the days of Lancaster and Britt as a duet were gone for good. Well, everyone was wrong! 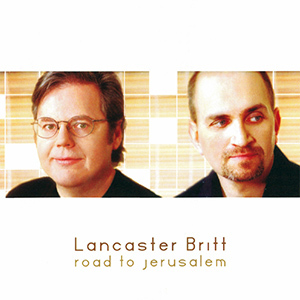 After Acappella’s twenty years of ministry – and after fifteen years apart – Keith Lancaster and Rodney Britt reunited to release a brand new album – Lancaster Britt: Road To Jerusalem. With Keith’s soaring tenor and Rodney’s unmatchable mega-bass, the classic Acappella duo recaptured the magic, and you won’t believe what they’ve come up with this time. This is an album you do not want to miss.